Quebec's Energy Board is recommending Hydro Quebec adopt a new pricing plan that would change the price of electricity depending on time of day and demand. That's one of many recommendations being made by the board regarding natural gas and hydroelectricity. At the moment most residential customers pay a flat rate of 40.6 cents per day plus 5.8 cents/kWh for the first 33 kWh per day, and 8.9 cents for every kWh after that. Under the proposal some customers could choose to pay a variable rate for electricity instead, where the price would rise during peak periods and drop at other times. Hydro Quebec said this should encourage people to use electricity at non-peak hours, with spokesperson Marc-Antoine Pouliot adding it could end up saving Hydro Quebec money, especially during winter. "When the clients move their consumption, we avoid importing electricity, from the United States for instance, at a very high price. So to make sure people move their consumption, we must set the right price that will send a signal that it's a good economic move," said Pouliot. There are many households that already live under a variable-pricing plan because they have dual heating systems. For these clients, the amount they pay for electricity depends on the outside temperature: when it's below -12 C, they pay 26.2 cents per kWh, but when it's above that temperature they pay just 4.5 cents/kWh. Hydro Quebec estimates these customers save about $800 per year in electricity costs. It may be hard for some Quebecers to change their routine, said Olivier Bourgeois of Option Consommateurs. “If you just pay your bill and you kind of have a busy life, then you don't want to mess. You don't want to deal with having to modify your habits. It will be hard for you to benefit from type of bill,” he said. Bourgeois suggested offering a variable rate only during the very cold winter months. “We don't need these kinds of bills for (the whole) year, but just specific days when the customer really needs the energy that is costing Hydro-Quebec,” he said. The Energy Board has been working on the recommendations for the past year following the urging of Energy Minister Pierre Arcand. The recommendations, which also include proposals to simplify the billing for natural gas, were presented earlier this month to the minister and Hydro Quebec but only released this week. 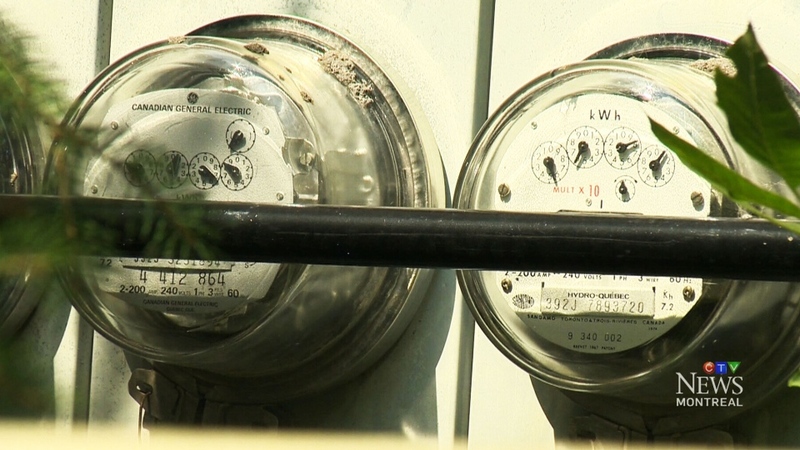 While the plan is vague as to exact costs, Hydro Quebec said it will come up with a proposed pricing plan later this summer. Arcand said he will look at the recommendations in depth and could implement this plan next spring.